Three weeks ago during Electronic Arts’ E3 briefing, this guy showed up on stage, looking all nervous, to introduce the world to the result of more than two years of development at Coldwood Interactive, Sweden. Coldwood is this small independent studio, fairly unknown to the rest of the world, that has suddenly been thrown into the spotlight and overwhelmed with positive and enthusiastic reactions about Unravel – a 2D-platformer featuring a small protagonist made of yarn, wandering through nature to reunite people who love one another. The trailer for the game, along with Yarny’s absolute cuteness, have rapidly seduced everyone. But more than the game, which I, too, am eager to play, I was particularly interested in the guy behind the game – Martin Sahlin. He’s the guy who turned up on stage with a shaky voice and took a yarn doll out of his pocket, much like a ventriloquist playing with his puppet, or a child with his toy. He’s the guy who refered to videogames as an art form in his speech, and stated that he had poured his very heart into his creation. The way he described Unravel made me realise how close Martin Sahlin & Coldwood’s vision of videogames was to mine – the idea that videogames are an art form with a significant emotional and cultural value. Then I got in touch with Coldwood Interactive. For my blog, Martin Sahlin agreed to answer a few questions. Together, we discussed his career, his vision of games and art, his inspirations when creating Unravel, and so on. Here’s the portrait of a man who has a lot to provide to the videogame industry. Artcore Gamer: Hi, Martin, thanks a lot for agreeing to answer my questions. 🙂 First things first: how are you? And how is Yarny, after such an exhausting trip to L.A.? Martin: I’m fine. E3 was a pretty intense experience, and quite emotional. I couldn’t have imagined the kind of response we got, it was really overwhelming. I’m pretty stunned actually, and very very happy. I’d been looking forward to that moment for so long, the big reveal, and it just felt totally awesome to see people loving it. Yarny almost got lost on the way back when my luggage got misplaced, that was a bit scary. I guess Yarny’s wanderlust wasn’t entirely satisfied yet 🙂 But it all got sorted out pretty quickly, thankfully. AG: I would like you to tell me a little bit about you, your studies, your career. What studies did you do? How and when did you decide to become a video game developer? Martin: I sort of stumbled into game development actually, I always played a lot of games, and I’ve done digital art ever since my early childhood, but for some reason I never really thought about becoming a game developer. I knew I wanted to do something artistic, something creative. I worked as a tattoo artist and an illustrator for a while. Then I heard about a new computer graphics course at Luleå University of Technology, so applied to that and got in. That’s where I ran into the guys from Coldwood, who were lecturing there, and that’s how it all began. Speaking of tatoos, Martin’s did not go unnoticed during EA’s E3 conference! AG: What about Coldwood, now? How was it created, what project did you guys work on? Who are the people working with you? 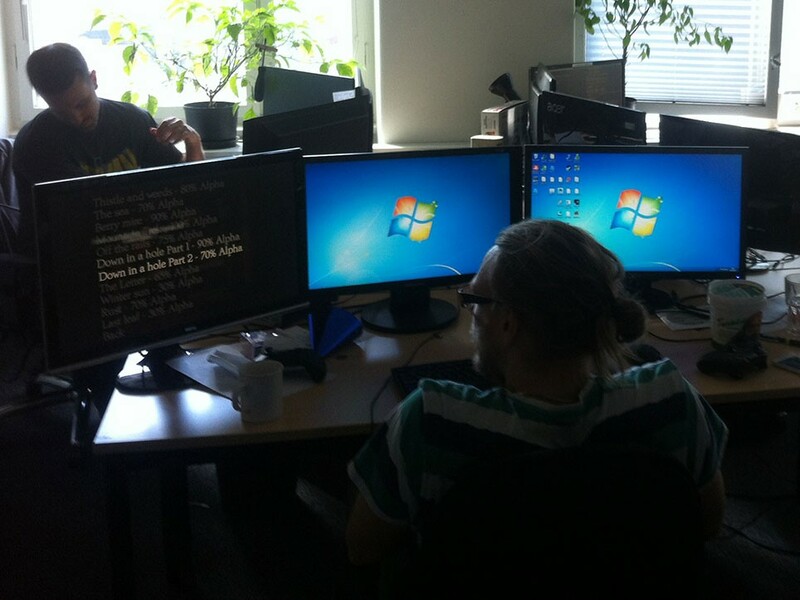 Martin: Coldwood was founded in 2003, by some veterans from Daydream, Umeå’s first big game developer. I joined two years later. We started out making smaller budget titles, mostly sports games. We were kind of pragmatic about game development back then, it didn’t matter so much what types of games we were making, because we had so much fun working together. We’re based in Umeå, which is kind of a remote place, far up north and far away from everything, but full of really creative people. We’re all from around here(ish), so I guess we’ve got a lot of interests in common – nature, music, things like that. A lot of us are old C64 and Amiga fans, so that’s another thing we share. AG: How would you define Coldwood’s “philosophy”? Martin: I guess being friendly is our main philosophy. We’re not just a company, we’re a group of friends, and it’s always been like that. We share this passion for making games, and we have lots of fun doing it. AG: During the #EAE3 press conference, you delivered an impressive, moving and inspiring speech about videogames and about Unravel. As an introduction to this speech, you defined videogames as a “powerful art form”. Why do you think videogames are an art? Martin: Video games are a form of cultural expression, they are beautiful things created by supremely talented people, they can be thought provoking, engaging, emotional, and creating them takes skill and passion, training and dedication. So yes, games are art, and making them is definitely an art form. AG: What makes videogames a very specific form of art, what distinguishes it from other art forms? Martin: I guess one cool aspect of game making is that it’s a truly cross discipline art form. Artists and coders and designers and musicians and everyone else involved come together and pour their hearts and souls into creating something really great. And the end result isn’t static, it’s not purely for passive consumption, it’s something for players to actively get involved in. AG: How do you define “art”? Martin: Defining art is kind of a big question 🙂 But I guess it’s about expression. About trying to take something from your own heart and soul, and sharing that with others, trying to create an emotional response. AG: If videogames are an art form, then there are several visions of it, several artistic movements. What is your definition of a videogame? Martin: Hmm. An interactive experience? Pushing pixels around? A collection of systems and mechanics designed to engage and entertain you, and inspire some form of emotional response? Escapism? I don’t know the answer to this really, because video games can be so many things. AG: What videogames inspire you? Not just for Unravel, but in general – what games moved you, touched you to your very soul, what games would you define as works of art? Martin: I suppose Journey is one of my absolute favourites. Shadow of the Colossus is another one. I’ve been playing video games for over thirty years, so listing everything that has inspired me would be difficult. But I guess those two games are the ones that I’ve connected most with. But I think most games are works of art, in a way. It’s just not necessarily the most interesting or challenging art all the time. In both Shadow of the Colossus and Journey, much like in Unravel, nature plays a huge part in the game’s graphics. AG: Apart from videogames, are there other works of art that inspire you or move you? Martin: Of course, countless things, too many to list. I can find inspiration in everything – a painting, a phrase, a beautiful view, a photograph, a person, a song, anything. All it takes is one little spark to set everything off, and that spark really can come from anywhere. AG: Tell me how you came up with the idea for Yarny, and how you made him come to life. Martin: I had an idea for a game about yarn. The yarn would be a symbol for love, and the bond between people. You would play a little character made of yarn, who’s trying to reconnect people. You would be tethered to the start of the game, and the farther away from home your journey took you, the more you would unravel. I had pretty much figured out that part, what I wanted it all to be about, what it all meant. But I didn’t really know much more beyond that core idea yet. And that’s when I got the idea to make an actual character to play it all out, so I could experiment with it and explain it. That’s how Yarny was created. I did this while I was out camping with my family, way out in the woods. I didn’t have a lot of tools to work with, so Yarny was built from metal wire that I peeled off a rusty old anchor cable, and yarn that I was able to borrow from some kid who was camping nearby. Then I took my little yarn doll and ran around in the woods, playing with it, creating the basic game design and features just like that, by experimenting, having fun. In hindsight, I guess I couldn’t really have asked for a more creative and inspiring environment. AG: Why did you choose to make Unravel a 2D-platformer? 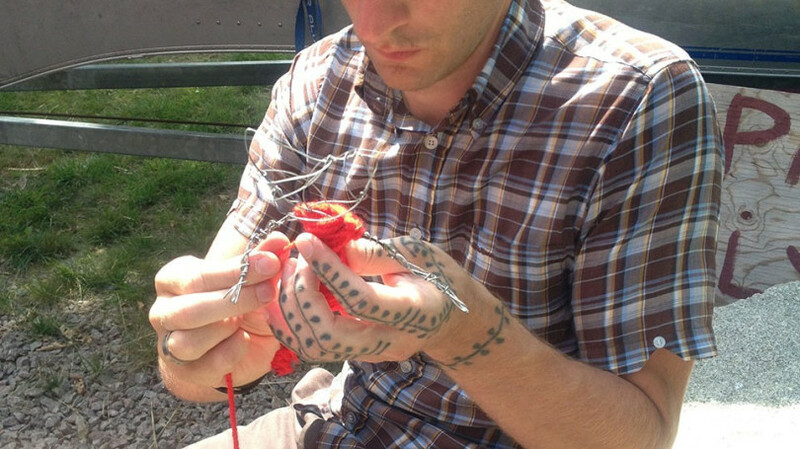 Martin: That’s what it felt like 🙂 I mean, a lot of the game design happened while playing with Yarny in the woods. The types of obstacles I found, and the different ways to interact with yarn I came up with, they all seemed to suggest that the game should be a 2D platformer. Also, that type of game fits really well with the story I wanted to tell. AG: In terms of story, is there an actual scenario for Unravel, or is it the player who imagines his own story? Martin: There is a story there for you to find, if you go looking for it. I don’t think you can push story onto players, at least not when you’re dealing with the themes that we do. It’s far better to make it subtle, and allow players to come to the story, rather than the other way around. We’ve stayed away from heavy handed storytelling. There’s no dialogue or things like that, we tell the story through things you do and see instead. We set a tone, but leave it up to you to play the actual music, so to speak. We do a lot of our storytelling through Yarny as well, through reactions and body language, and things like that. AG: As far as narration is concerned, do you think videogames can tell stories that can’t be told through other art forms? The combination of immersion and agency you get in video games is really a brilliant thing for storytelling. Video games allow you to experience what it’s like to truly be someone, rather than just watching them, and you get to control what happens, sometimes you even get to shape the outcome. That really does enable some great storytelling, and I think we as an industry have only begun to scratch the surface of what the medium is capable of in terms of story. AG: Am I right to say that nature was an inspiration for the creation of Unravel? Martin: Absolutely, it was a big inspiration. To begin with, there’s of course the obvious connection with nature that I got from playing with Yarny in the woods, that shaped the whole design for sure. But there’s also this whole idea about making the game truly personal, that it should be from the heart, it should be based on things that we know and love and care about. And nature is a big part of our lives around here. We wanted to share that. AG: Visually, the game seems really cute. What about sounds? Do you think music and sounds play a part in the beauty of a videogame – and in Unravel, more specifically? Martin: Music is part of the beauty for sure, but also a really big part of the storytelling. Unravel tells its story entirely without words, which makes music incredibly important. It’s a great way to establish atmosphere, create tension, convey emotions. I think Unravel’s story is a lot like music actually – it’s full of details, full of emotion, but it’s not just pre-recorded “facts” that you’re supposed to passively consume. You’re actively engaged in interpreting something, you’re inspired to think. AG: I’ve mentioned the word “beauty”: do you think a game has to be beautiful? What is “beautiful” for you? Martin: I think games kind of do have to be beautiful, but beauty can be many things, it’s definitely not just a visual thing. There can be beauty in a design, beauty in a control scheme, or in a game mechanic, and so on. I guess beauty is achieved when things do precisely what they should be doing, no more and no less. AG: If games are an art form, do you think you’ve accomplished a work of art with Unravel? Martin: I would definitely say so, yes. AG: Do you already have other projects at Coldwood? Martin: There’s always a ton of ideas, but right now we’re all fully focused on Unravel. AG: Well, thanks, I think that’s all for me. Is there anything you would like to add? Martin: Thanks for all the attention, I suppose 🙂 It’s been great to finally get to talk about the game, and even better to see that people really seem to “get” it. Unravel is coming soon to PC, Xbox One and PlayStation 4. To learn more, visit the game’s official website: www.unravelgame.com. You can also follow Martin (@monkeybeach), Coldwood Interactive (@ColdwoodGame) and Unravel (@unravel_game) on Twitter! Thanks a lot to Coldwood and Martin for their kindness! Hush hush, a post written by Martin on his Tumblr blog. 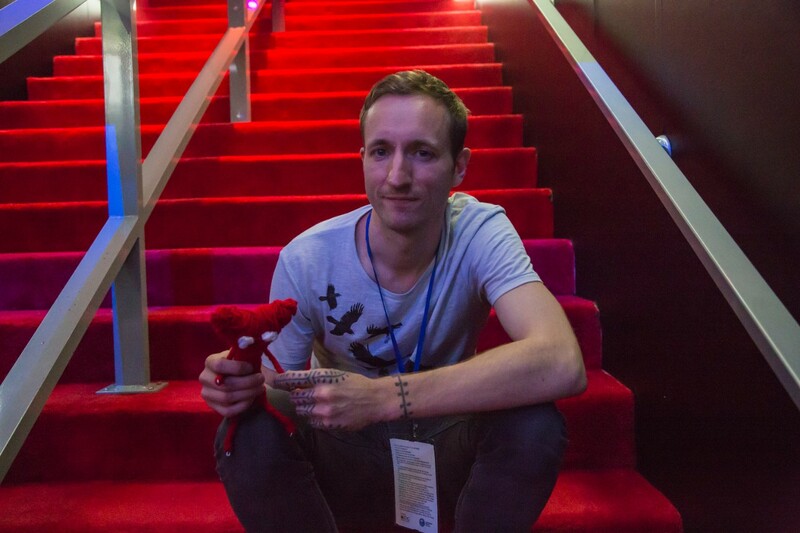 Unravel: An Indie Development Dream Come True, an interview with Martin Sahlin on EA’s Live To Play blog. 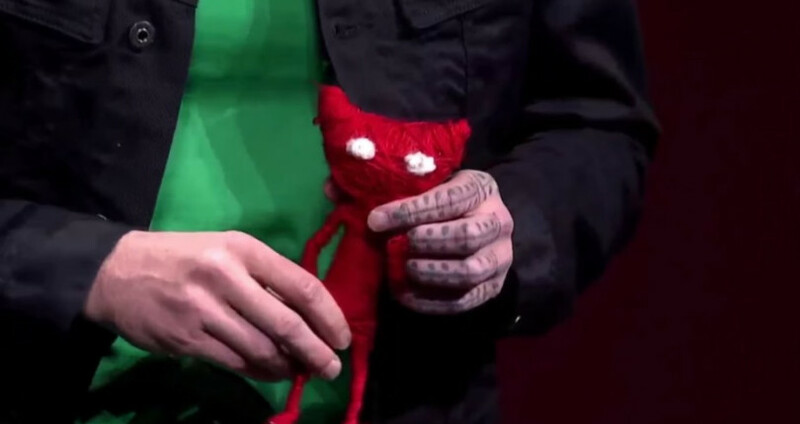 E32015: Unravel and Yarny Have Stolen My Heart by Luke Karmali for IGN, June 2015. 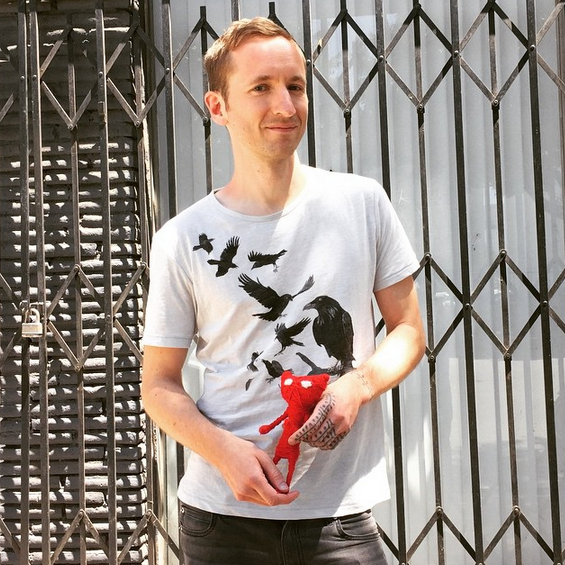 Welcome to Unravel by Martin Sahlin for the game’s official website. 5 Things Video Games Do Better Than Any Other Forms of Art by Winston Rowntree for Cracked, June 2013.